If you ever get tired of the boring motion of flicking the same light switch on and off again, these rope LEDs might just shed some new light on your living quarters (literally). At first look, StudioKnob’s’s Click Light system appears to consist of only LED ropes—however, the multi-part system also includes two metallic stands to which the lights are connected. Measuring 14cm (5.5”) in height, 80cm (31”) in width, and 20cm (8”) in depth, a low voltage runs through the two surfaces which transfers to the rope lights once they magnetize. So no, these ropes don’t run on batteries, nor can they light up remotely and be worn at a music festival. 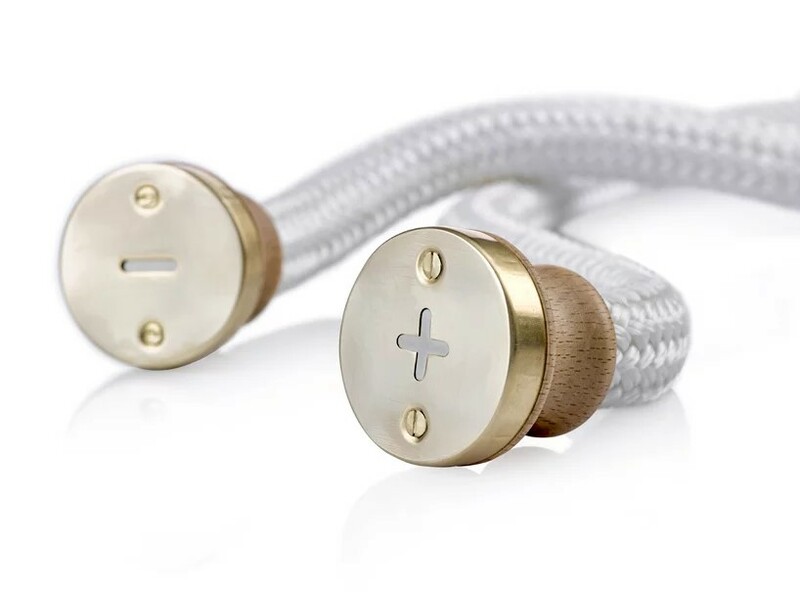 The premise behind the Click Lights is actually quite simple: both sides of the charged surfaces are magnetic, and it doesn’t matter which side you connect the rope lights to. Like its namesake, once the nylon ropes ‘click’ onto the metallic shelves, their intertwined LEDs light up the room instantly. 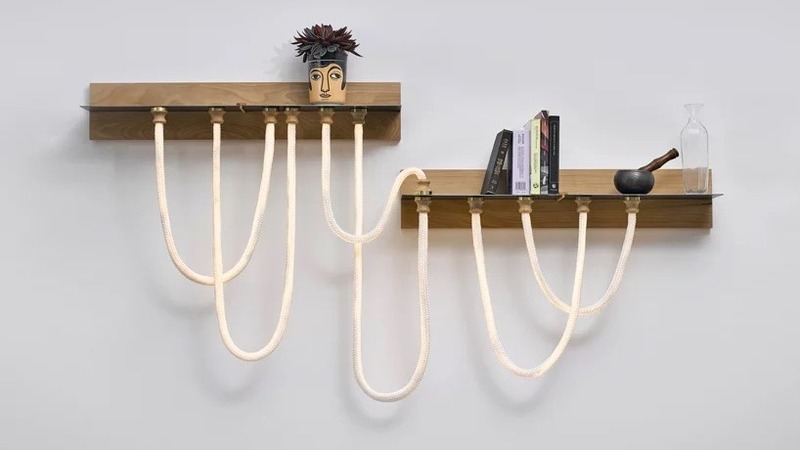 The system consists of different rope lengths ranging from 70, 100, and 135 cm (which translate to 27.5, 39, and 53 inches respectively)—allowing users to create a spaghetti-like combination of lights which can continuously be twisted and turned depending on how streamlined—or tangled—your heart desires. The Click Light isn’t quite for sale yet, but you can bet parents will be jumping at a chance to get these as night lights for their kids—or themselves. More details can be found on StudioKnob’s official webpage.